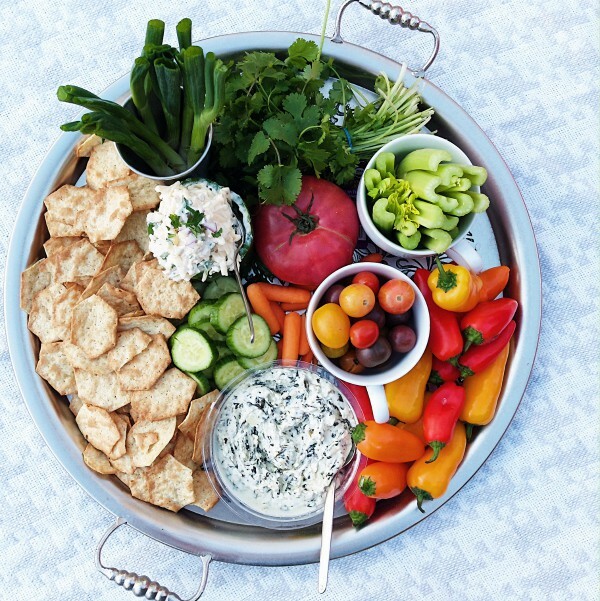 This Game Day Smokey Jarlsberg Dip Recipe is delicious served with a fresh vegetable platter, chips, pretzels, or slices of baguette. Friends, are you feasting with friends for the Super Bowl this week? 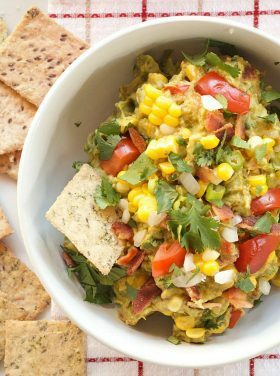 Then you’ll want to serve this yummy Game Day Smokey Jarlsberg Dip Recipe with a side of fresh veggies! After reading our friend Roy’s book this week, these words kept popping out, to the point that I read them over and over. A Game Day spread is just like this. 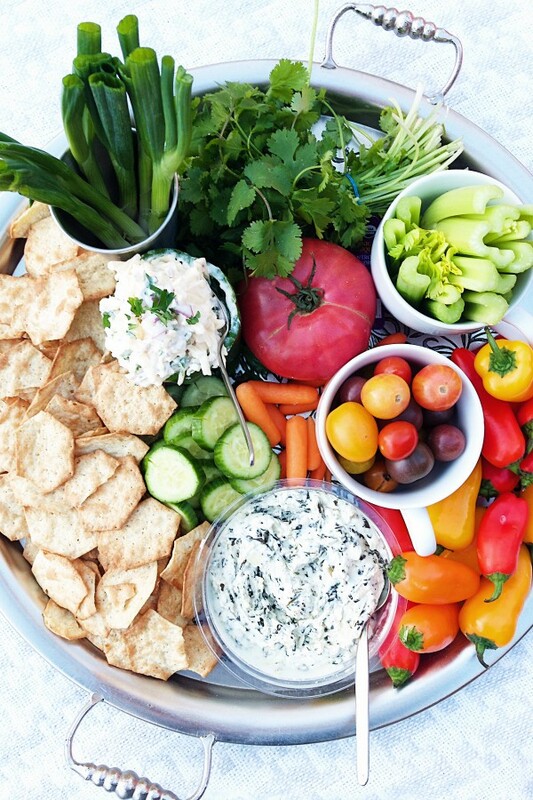 We love fresh foods, and a healthy vegetable platter with dips is always a hit at every party. Besides the taste, they’re always so beautiful. 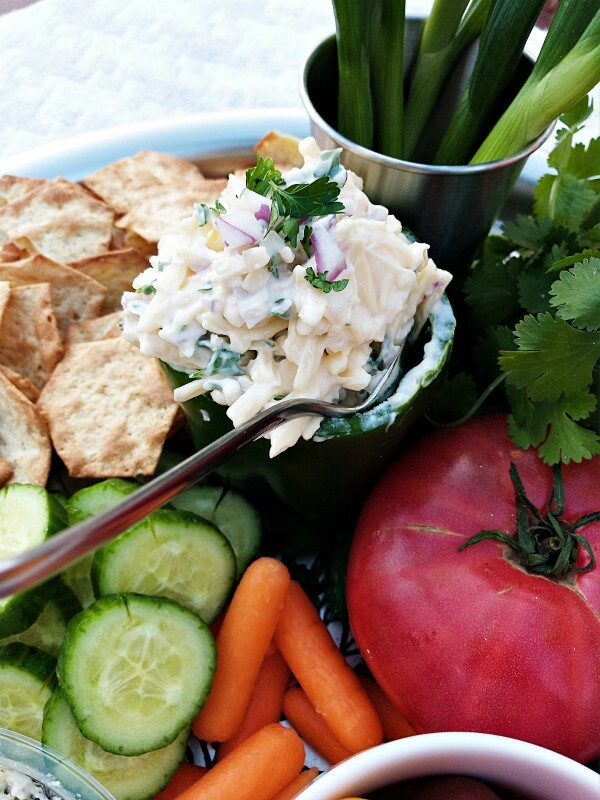 This time I made Game Day Smokey Jarlsberg Dip Recipe to share. It’s so simple, and there’s nothing better than a “smoky flavored” dip. Serve with your favorite chips, veggies, or a fresh baguette (you can even broil this dip on baguette slices). ENJOY and serve at your next party, and I hope your favorite team wins this next week at the Super Bowl! 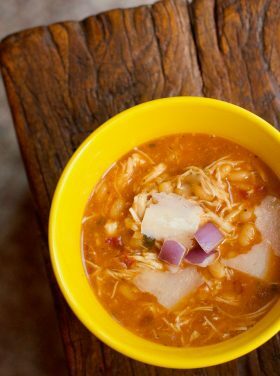 In a medium-sized bowl, mix together all ingredients. Store in a covered container for at least 2 hours to let flavors mingle. Cut the top of a bell pepper off; remove the seeds. 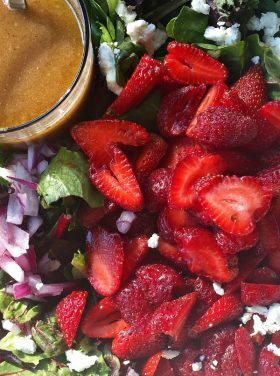 Fill the pepper with dip and garnish with a few sprinkles of fresh-chopped parsley. Serve with fresh vegetables, chips, pretzels, or a baguette.